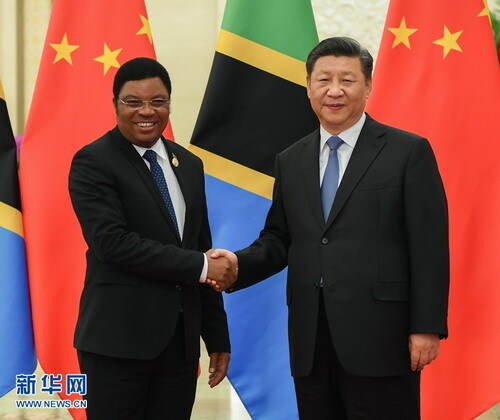 BEIJING, Sept. 6 -- Chinese President Xi Jinping on Thursday met with Tanzanian Prime Minister Kassim Majaliwa after the 2018 Beijing Summit of the Forum on China-Africa Cooperation (FOCAC) concluded Tuesday. Xi said China and Tanzania have longstanding friendship, and Tanzania was the first African country that he visited after he took office as the Chinese president in 2013. Noting that China highly values the development of bilateral relations, Xi said China is willing to continuously deepen the friendly win-win cooperation in various fields with Tanzania to better benefit the two peoples. China supports Tanzania's efforts in safeguarding its rights and interests, developing the economy and improving people's livelihood, and is willing to strengthen sharing of experience in inter-party exchanges, governance, development and poverty reduction, Xi said. Xi also said the two countries should jointly promote the implementation of key projects, strengthen people-to-people exchanges and cooperation, and maintain close communication and coordination on major international issues. China is willing to work with Tanzania to take the opportunity of implementing the outcomes of the summit to push forward China-Tanzania and China-Africa relations, Xi said. Noting that Xi's speech at the opening ceremony of the summit is one of the greatest speeches on international cooperation in the 21st century, Majaliwa said the cooperation concept and the eight major initiatives proposed by China are fully compatible with Africa's needs for development. 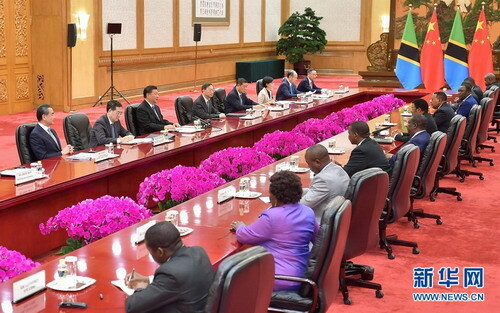 Tanzania is committed to implementing the outcomes of the summit, said Majaliwa, adding that Tanzania regards China as an important friend and partner and thanks China for its valuable long-term support. Tanzania adheres to the one-China policy, and is willing to actively participate in building the Belt and Road that benefits its infrastructure construction and industrialization, and elevate Tanzania-China relations to a new level, Majaliwa said.